Pact’s work in Tanzania focuses on improving the lives of orphans and vulnerable children. With our unique integrated approach, our efforts are also strengthening families and local economies, institutions and organizations – impacts that will benefit Tanzania for generations to come. Our five-year Pamoja Tuwalee program, funded by USAID, recently finished. The program worked with local nonprofits and government agencies that, in turn, worked with families and caregivers in their communities to meet the basic needs of at-risk children. Pamoja Tuwalee, which translates to “Let’s Bring Children Up Together,” reached more than 350,000 children and caregivers with key health, nutrition, education, livelihoods and protection services. In 2016, we began a follow-up project to Pamoja Tuwalee, called Kizazi Kipya, or New Generation. With a similar approach, this project is making a measurable difference for Tanzania's youth, especially those affected by HIV and AIDS. Because the majority of Tanzania’s vulnerable children live in female-headed households, Pact employs our award-winning WORTH model, in which small groups of women save together and make low-interest loans to one another that help them launch or expand small businesses. With increased income – plus business and other training provided by Pact – women are better able to care for their children. We’ve built the capacity of local authorities and community organizations to manage services for vulnerable children and helped launch trained vulnerable-children committees and district child protection teams. And we’ve paid special attention to children and families in communities affected by HIV and AIDS. 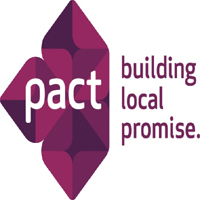 Pact also has carried out substantial work to improve governance in Tanzania, empowering citizens and civil society organizations to work with political representatives toward transparency and accountability at the local and national levels.